was an eminent US scientist, inventor, engineer and entrepreneur who is credited with inventing the first useful telephone. BELL, Alexander Graham, physicist, born in Edinburgh, Scotland, 3 March 1847. He is a son of Alexander Melville Bell, mentioned below, and was educated at the Edinburgh high school and Edinburgh University, receiving special training in his father's system for removing impediments in speech. He removed to London in 1867, and entered the University there, but left on account of his health, and went to Canada with his father in 1870. In 1872 he took up his residence in the United States, introducing with success his father's system of deaf-mute instruction, and became professor of vocal physiology in Boston University. He had been interested for many years in the transmission of sound by electricity, and had devised many forms of apparatus for the purpose, but the first public exhibition of his invention was at Philadelphia in 1876. Its complete success has made him wealthy. His invention of the "photophone," in which a vibratory beam of light is substituted for a wire in conveying speech, has also attracted much attention, but has never been practically used. It was first described by him before the American association for the advancement of science in Boston, 27 August 1880. After the shooting of President Garfield, Professor Bell, together with Sumner Tainter, experimented with a a metal detector, which was an improved form of Hughes's induction balance. They endeavored to find the exact location of the mini-ball, but failed. It is believed that the metal bed frame on which President Garfield was laying caused the instrument to malfunction. Professor Bell has put forth the theory that the present system of educating deaf-mutes is wrong, as it tends to restrict them to one another's society, so that marriages between the deaf are common, and therefore the number of deaf-mute children born is on the increase. His latest experiments relate to the recording of speech by means of photographing the vibrations of a jet of water. Many other inventions marked Bell's later life, including groundbreaking work in optical telecommunications, hydrofoils and aeronautics. In 1888, Bell became one of the founding members of the National Geographic Society. He has been described as one of the most influential figures in human history. 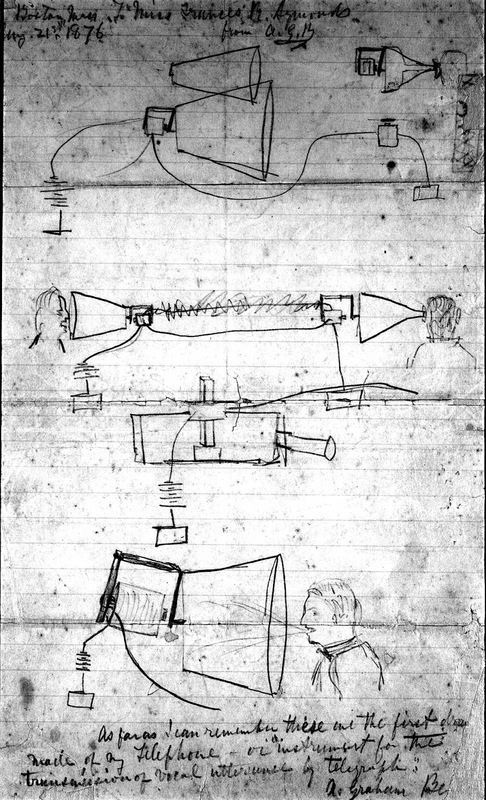 Alexander Graham Bell's design sketch of the telephone. Sketches, undated; handwritten text top and bottom of page, 1876. Box 273, "Subject File: The Telephone--Drawing of the Telephone, Bell's Original." 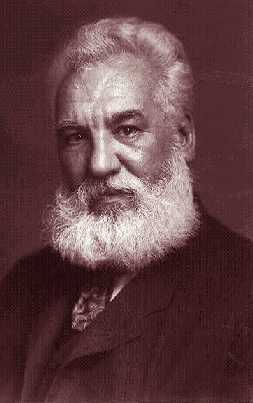 Alexander Graham Bell Family Papers, Manuscript Division, Library of Congress. Bell died of complications arising from diabetes on August 2, 1922, at his private estate, Beinn Bhreagh, Nova Scotia, at age 75. Bell had also been afflicted with pernicious anemia. 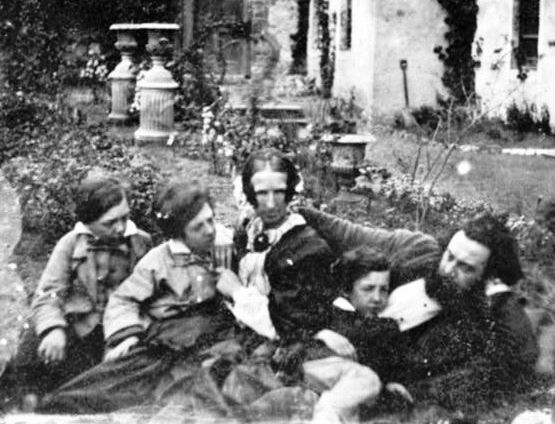 Alexander Melville Bell with his wife, Eliza Grace Symonds and their children, Melville James, Alexander Graham and Edward Charles. Circa. 1852? Gilbert H. Grosvenor Collection, Prints and Photographs Division, Library of Congress. Alexander Bell is born to Alexander Melville and Eliza Symonds Bell in Edinburgh, Scotland. He is the second of three sons; his siblings are Melville (b. 1845) and Edward (b. 1848). 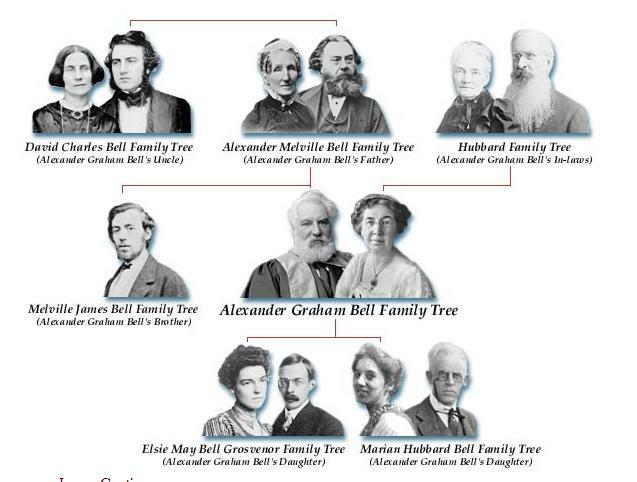 Bell adopts the name Graham out of admiration for Alexander Graham, a family friend, and becomes known as Alexander Graham Bell. Bell begins teaching music and elocution at Weston House Academy in Elgin, Scotland, and receives instruction in Latin and Greek for a year. Bell attends the University of Edinburgh. Bell teaches at Somersetshire College in Bath. Younger brother Edward Bell dies of tuberculosis at the age of 19. Alexander Melville Bell publishes his definitive work on Visible Speech, Visible Speech: The Science of Universal Alphabetics. 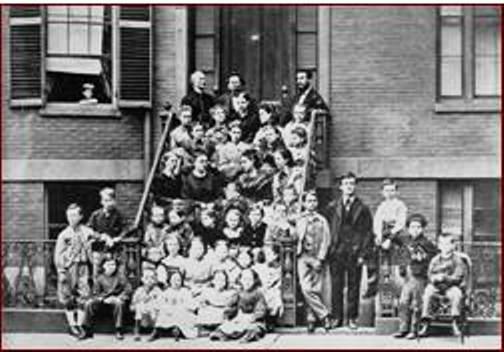 Bell begins teaching speech to the deaf at Susanna Hull's school for deaf children in London. Bell attends University College in London. Older brother Melville Bell dies of tuberculosis at the age of 25. Bell, his parents, and his sister-in-law, Carrie Bell, emigrate to Canada and settle in Brantford, Ontario. Moving to Boston, Bell begins teaching at the Boston School for Deaf Mutes. Bell teaches at the Clarke School for the Deaf in Boston and at the American Asylum for the Deaf in Hartford, Connecticut. Bell meets Boston attorney Gardiner Greene Hubbard, who will become one of his financial backers and his father-in-law. Boston University appoints Bell Professor of Vocal Physiology and Elocution at its School of Oratory. Mabel Hubbard, his future wife, becomes one of his private pupils. Bell conducts acoustics experiments at the Massachusetts Institute of Technology. He and Clarence Blake, a Boston ear specialist, begin experimenting with the mechanics of the human ear and the phonautograph, a device that could translate sound vibrations into visible tracings. In Brantford, Ontario, Bell first conceives of the idea for the telephone. 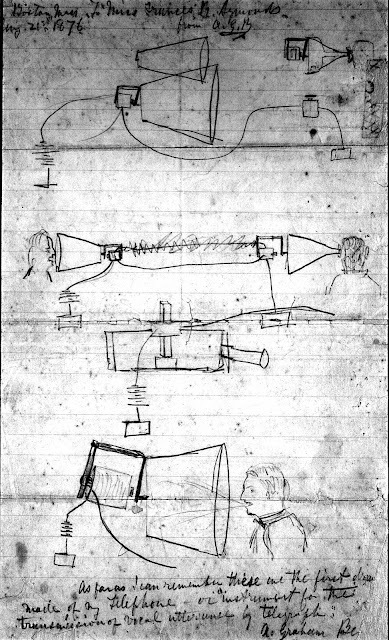 Bell's original sketch of the telephone Bell meets Thomas Watson, a young electrician who would become his assistant, at Charles Williams's electrician shop in Boston. Watson begins working with Bell more regularly. Thomas Sanders, a wealthy leather merchant whose deaf son studied with Bell, and Gardiner Greene Hubbard enter into a formal partnership with Bell in which they provide financial backing for his inventions. 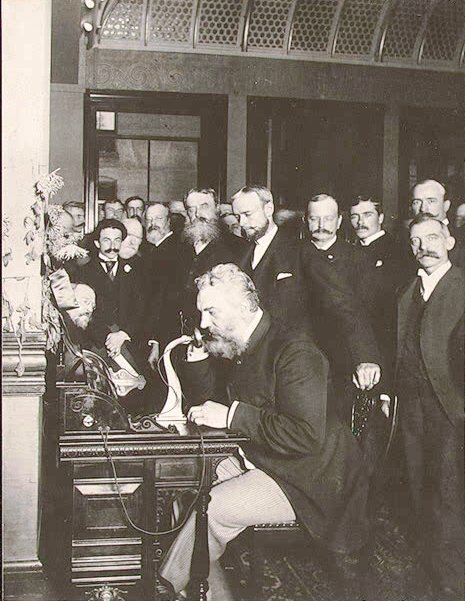 Bell visits noted scientist Joseph Henry at the Smithsonian Institution and explains to him his idea for the telephone. Henry recognizes the significance of Bell's work and offers him encouragement. 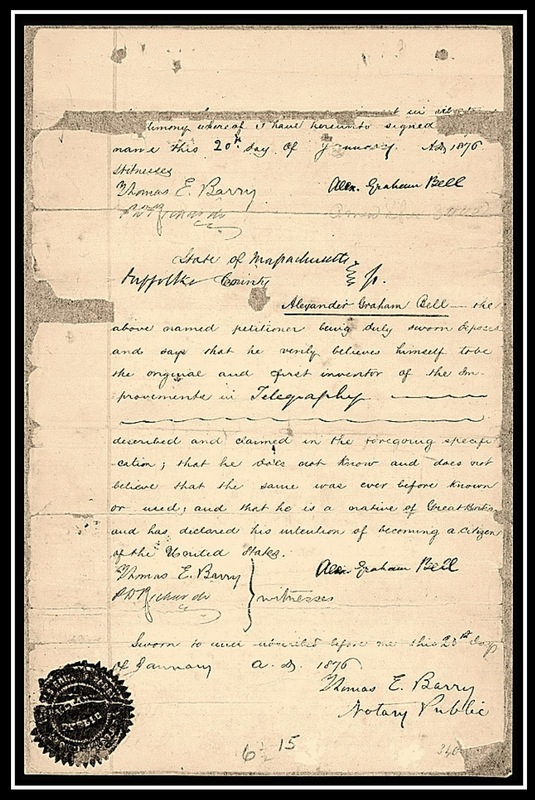 Bell's telephone patent application is filed at the United States Patent Office; Elisha Gray's attorney files a caveat for a telephone just a few hours later. United States Patent No. 174,465 is officially issued for Bell's telephone. Bell, Gardiner Greene Hubbard, Thomas Sanders, and Thomas Watson form the Bell Telephone Company. Mabel Hubbard and Bell are married. Bell and his wife leave for England and remain there for a year. Bell demonstrates the telephone for Queen Victoria. Elsie May Bell, a daughter, is born. Patent litigation involving the Bell Telephone Company against Western Union Telegraph Company and Elisha Gray begins. The Bell Telephone Company merges with the New England Telephone Company to become the National Bell Telephone Company. Bell's Experimental Notebook, 10 March 1876, Box 271, "Subject File: Scientific Notebooks, 1876." Alexander Graham Bell Family Papers, Manuscript Division, Library of Congress. The National Bell Telephone Company becomes the American Bell Telephone Company. Marian (Daisy) Bell, a daughter, is born. The French government awards the Volta Prize for scientific achievement in electricity to Bell. He uses the prize money to set up the Volta Laboratory as a permanent, self-supporting experimental laboratory devoted to invention. At the Volta Laboratory, Bell, his cousin, Chichester Bell, and Charles Sumner Tainter invent a wax cylinder for Thomas Edison's phonograph. 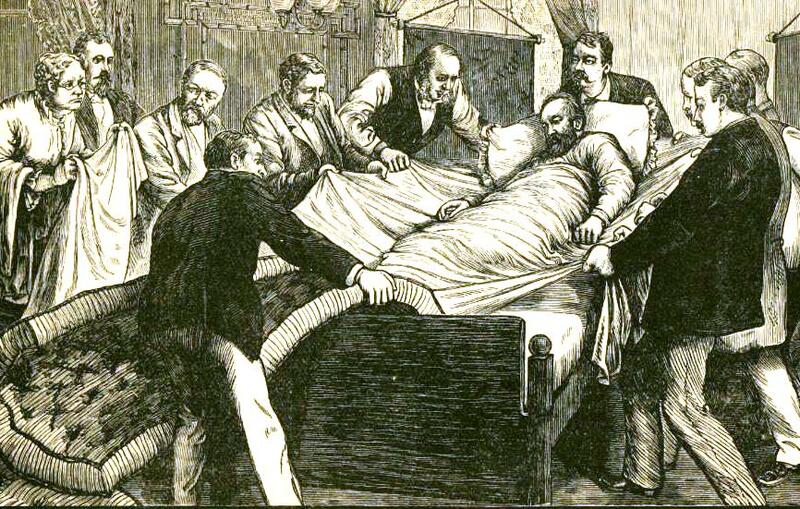 When President Garfield is shot, Bell attempts unsuccessfully to locate the bullet inside his body by using an electromagnetic device called an induction balance. Death in infancy of Bell's son, Edward (b. 1881). Bell is granted American citizenship. At Scott Circle in Washington, D.C., Bell starts a day school for deaf children. Bell is elected to the National Academy of Sciences. With Gardiner Greene Hubbard, Bell funds the publication of Science, a journal that would communicate new research to the American scientific community. Death in infancy of Bell's son, Robert (b. 1883). The American Telephone & Telegraph Company is formed to manage the expanding long-distance business of the American Bell Telephone Company. 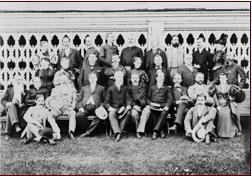 Bell establishes the Volta Bureau as a center for studies on the deaf. Bell begins buying land on Cape Breton Island in Nova Scotia. There he eventually builds his summer home, Beinn Bhreagh. 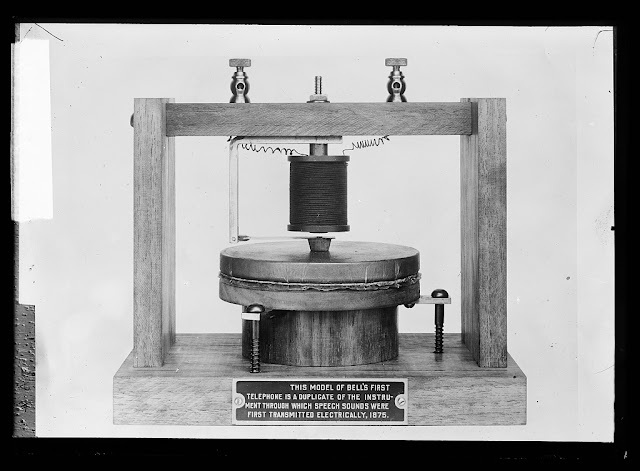 "This model of Bell's first telephone is a duplicate of the instrument through which speech sounds were first transmitted electrically, 1875" on phone. Created/Published between 1915 and 1925. Reproduction Number LC-D420-2586. Detroit Publishing Company, Prints and Photographs Division, Library of Congress. Helen Keller, Annie Sullivan and Alexander Graham Bell, full-length portrait, seated outdoors. 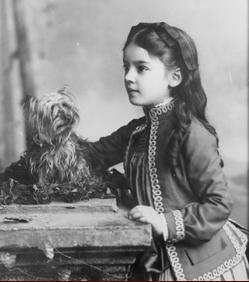 Gilbert H. Grosvenor Collection, Prints and Photographs, Library of Congress. Bell meets six-year-old blind and deaf Helen Keller in Washington, D.C. He helps her family find a private teacher by recommending that her father seek help from Michael Anagnos, director of the Perkins Institution for the Blind. Bell and his supporters form the American Association to Promote the Teaching of Speech to the Deaf. Letter from Mark Twain to Gardiner G. Hubbard, "The Father-in-law of the Telephone"
Death of Gardiner Greene Hubbard; Bell is elected President of the National Geographic Society in his stead. Bell is elected a Regent of the Smithsonian Institution. Fourth summer meeting of the American Association for the Promotion of Teaching Speech to the Deaf. Gilbert H. Grosvenor Collection, Prints and Photographs Division, Library of Congress. Acquiring the American Bell Telephone Company's business and property, the American Telephone and Telegraph Company becomes the parent company of the Bell System. Elsie Bell marries Gilbert Grosvenor, the National Geographic Magazine editor. Bell invents the tetrahedral kite, whose shape of four triangular sides would prove to be light, strong, and rigid. 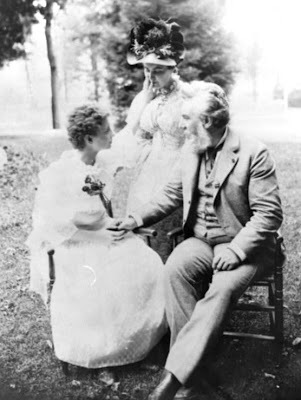 Daisy Bell marries botanist David Fairchild. Glenn Curtiss, Thomas Selfridge, Casey Baldwin, J.A.D. McCurdy, and Bell form the Aerial Experiment Association (AEA), which is funded by Mabel Hubbard Bell. The AEA's Silver Dart makes the first flight of a heavier-than-air machine in Canada. Bell and Casey Baldwin's HD-4, a hydrofoil craft, sets a world marine speed record. Bell dies and is buried at Beinn Bhreagh, Nova Scotia. The online version of the Alexander Graham Bell Family Papers at the Library of Congress will comprise a selection of approximately 4700 items (totaling about 38,000 images). This second release contains about 4650 items consisting of correspondence, scientific notebooks, journals, blueprints, articles, and photographs documenting Bell's invention of the telephone and his involvement in the first telephone company, his family life, his interest in the education of the deaf, and his aeronautical and other scientific research. 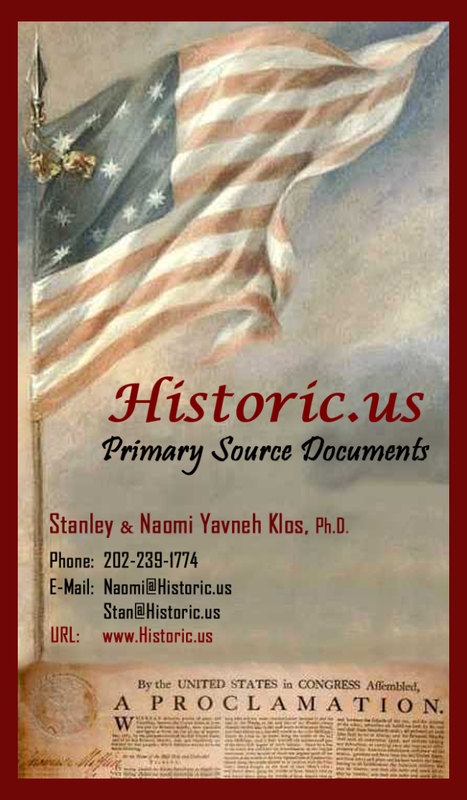 Dates span from 1862 to 1939, but the bulk of the materials are from 1865 to 1920. 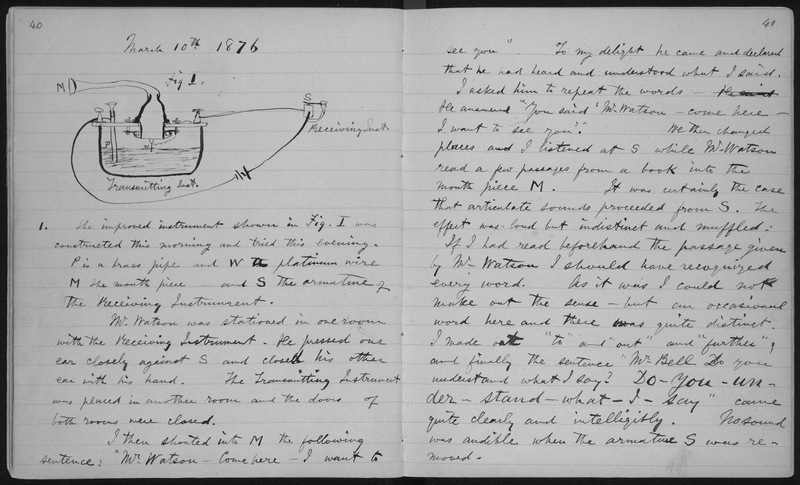 Included among Bell's papers are pages from his experimental notebook from March 10, 1876, describing the first successful experiment with the telephone, during which he spoke through the instrument to his assistant the famous words, "Mr. Watson--Come here--I want to see you." Bell's various roles in life as teacher, inventor, celebrity, and family man are covered extensively in his papers. The digitization of this selection of the Bell Family Papers is made possible through the generous support of the AT&T Foundation. Letter from Alexander Graham Bell to Mabel Hubbard Bell, 1875 - A month before they became engaged to be married, Alexander Graham Bell wrote Mabel Hubbard this letter, teasing her about her interest in "Woman's Rights": "I never suspected that you were one of these people who think women have rights. Do you actually suppose their wishes are to be considered with the same respect as those of men?" However, Bell may have actually been sympathetic to the women's movement, and he later admitted to Mabel that he wrote the letter because he was "hoping to rouse your indignation to a reply!" Brochure for Alexander Graham Bell's School of Vocal Physiology, 1875 - In 1872 Bell started his School of Vocal Physiology in Boston. His classes were largely based on Visible Speech, an alphabetical system developed by his father in which each symbol represented a position of the mouth when it made a particular sound. Bell taught Visible Speech and articulation to the deaf, individuals with speech difficulties, and teachers of the deaf. This brochure shows the kinds of classes he taught and the rates he charged. 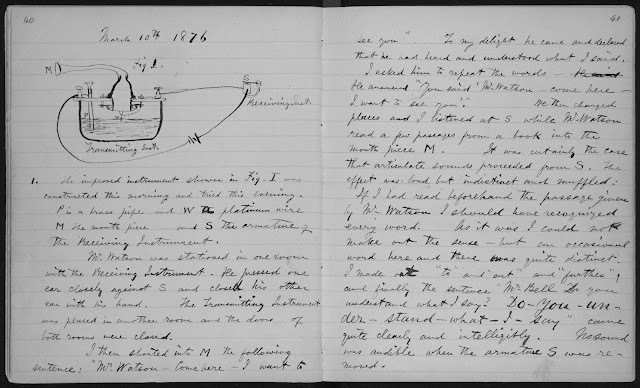 Scientific notebook, 1876 - Alexander Graham Bell's notebook entry of 10 March 1876 describes his successful experiment with the telephone. Bell's notes show him speaking through the instrument to his assistant, Thomas A. Watson, in the next room, and uttering these famous words, "Mr. Watson -- Come here -- I want to see you." Petition from Bostonians to Alexander Graham Bell, 1877 - This petition, signed by such notable Bostonians as Oliver Wendell Holmes and Henry Wadsworth Longfellow, requests Alexander Graham Bell to give a public demonstration of the telephone. For months after the issuance of his telephone patent, Bell gave public lectures and demonstrations of his new invention. Such events not only provided him with needed income and increased publicity for the telephone but also helped establish Bell as its legitimate inventor in the face of such rival claimants as Elisha Gray. In his response to this petition, Bell agreed to give a series of three lectures in the Music Hall in Boston, each of which would be "illustrated by the actual transmission of speech and music from cities remote from Boston." Letter from Thomas A. Watson to Alexander Graham Bell, 1878 - While Alexander Graham Bell honeymooned in England with his new wife, his assistant Thomas Watson wrote to him about the progress of the newly-formed Bell Telephone Company, improvements made on the telephone, and developments by rival inventors. In this letter, Watson reports about tests he performed on Thomas Edison's Carbon Telephone. In the last segment of the letter, however, Watson is nostalgic for the days when he worked with Bell on the telephone: "I still retain the experiment room and your room...the wires are still there and it retains something of its old appearance. I shall feel badly when I leave these rooms as I prepare doing soon." Letter from Mr. and Mrs. C.L. Shattuck to Alexander Graham Bell, 1886 - This letter is representative of correspondence written by parents who sought Alexander Graham Bell's assistance and advice for the education of their deaf children. 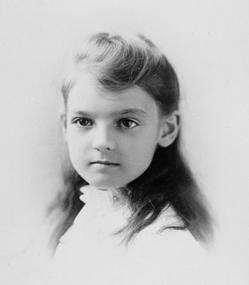 Mr. and Mrs. C. L. Shattuck were anxious that their five-year-old deaf daughter not only attend the proper school but also learn to speak. The letter conveys their concern for their child and their faith in Bell as an "authority in these matters." Later correspondence, written several months later, reveals that Bell actually visited the family and that the little girl was showing progress as a result of his assistance. The Shattucks were extremely grateful to Bell, whose visit allowed them to "see light through what had been great darkness, and hopes yet of a final triumph." Letter from Mark Twain to Gardiner Greene Hubbard, 1890 - In this satirical complaint letter, Twain rails to Bell's father-in-law against the poor telephone service he has received in Hartford, Connecticut. Apparently, there is no night service and Twain is regularly cut off while practicing his cursing. In fact, Twain loved new inventions, as shown by his espousal of the typewriter; it was Twain who submitted the first typed manuscript to a publisher. Letter from Helen Keller to Alexander Graham Bell, 1907 - In January of 1907, Helen Keller was scheduled to speak at a meeting for the blind in New York. Her teacher, Annie Sullivan, was to have repeated the speech for those who found it difficult to understand Keller. When Sullivan suddenly became ill, Keller wired Alexander Graham Bell for help, and he immediately came up from Washington, D.C., to take her teacher's place. In this letter, Keller thanks Bell not only for coming to her rescue but also for his continual support. Ever since meeting Keller in 1887, Bell had served as her advocate and even provided occasional financial assistance. Keller's letter conveys the warm nature of their friendship and her gratitude for all he had done for her throughout her life: "I cherish ever the many tokens of your love." Aerial Experiment Association Photograph of the June Bug, 1908 - The third of four aircraft built by members of the Bell-led Aerial Experiment Association (AEA), the June Bug was designed by AEA member Glenn H. Curtiss. On July 4, 1908, at Hammondsport, New York, Curtiss made the first public flight in the United States of more than one kilometer, winning the Scientific American trophy.. Invitation from Theodore Vail and AT&T to Alexander Graham Bell, 1915 - This is an invitation for Alexander Graham Bell to participate in AT&T's formal opening of the transcontinental telephone line on January 25, 1915. The event included a telephone conversation between Bell in New York and his old assistant, Thomas Watson, in San Francisco, as well as speeches by President Woodrow Wilson from the White House and AT&T President Theodore Vail from Georgia. When a duplicate of an 1876 telephone was connected to the New York line, Bell, echoing his famous words on the original occasion, called out, "Mr. Watson, come here, I want you." Watson replied that this time it would take him a week to do so.